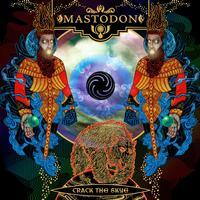 Mastodon has taken hold of the leadership of the New Wave of Progressive Heavy Metal. The band's 2006 major-label debut Blood Mountain spun off a Grammy nomination and earned Top 5 Best Album Of The Year nods from Kerrang!, Revolver, and Metal Hammer, and a Top 10 at Rolling Stone. Now Crack The Skye, its fourth original studio album, mines subject matter from czarist Russia and astral travel to out-of-body experiences and Stephen Hawking's theories on wormholes for an unrepentantly heavy aural assault that will shake the heavens. Customer Reviews (3.00 Stars) 1 person(s) rated this product. I had high hopes for the quality of this recording. Unfortunately, for an 88.2/24 release it is far to compressed to do the format any justice. Due to the brickwalled compression, I wouldn't recommend this recording in high resolution format. The 44.1/16 is more than enough to reproduce what the engineers gave us. Now as for the material... It is absolutely fantastic! If you like Mastodon, this is one of their best pieces of work. The content holds a special place with the lyricist (I will let you go down that rabbit hole yourself) and it shows on this very well put together production. I only wish the engineers had given us something more delicate to support the program material. In summary, if you own this already on CD or vinyl, you wont get much more out of this release. It is a fair price and if you don't have it already it's worth picking up. Just don't expect to be blown away by any increased detail in the 88.2/24 release. 5 stars for content, 3 stars for sound.